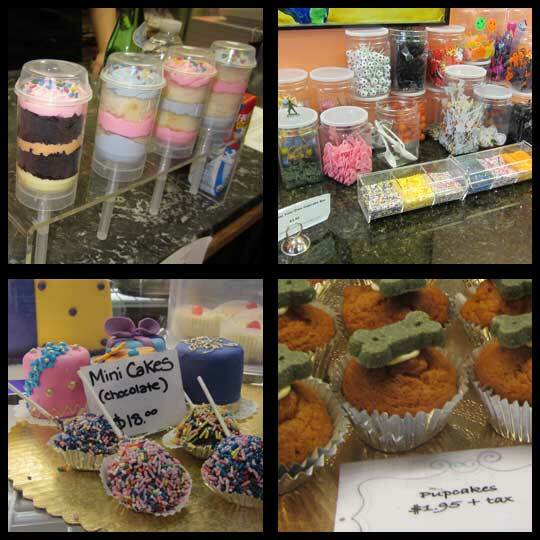 After our major letdown during the first stop at Just Cakes, the Crusaders were ready for some good cupcakes and luckily, Fancy Cakes by Leslie did not disappoint. What a world of difference it was from the moment we walked it. The staff was so friendly and energetic. 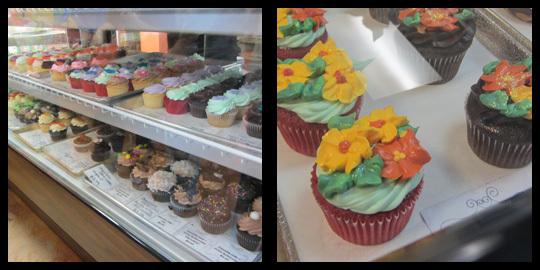 And the display was full of beautiful and colorful cupcakes! There were so many flavors, so it took a while for us to decide, but finally we each made our selections. 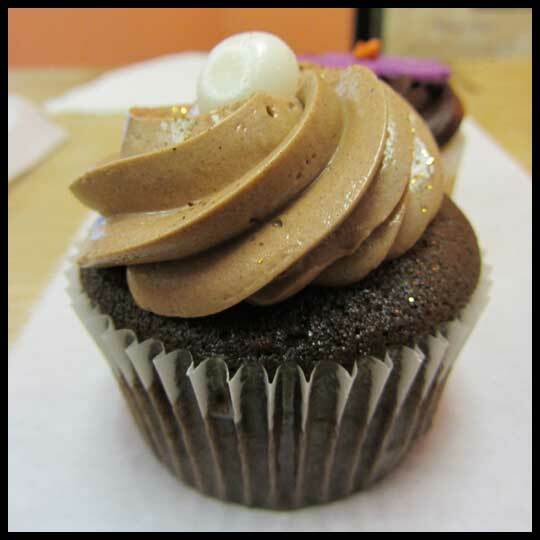 Jenn thought that this cupcake was a little too sweet for her, but still really good. I thought that while it was sweet, it was just right for the flavors that it had. This cupcake is perfect. 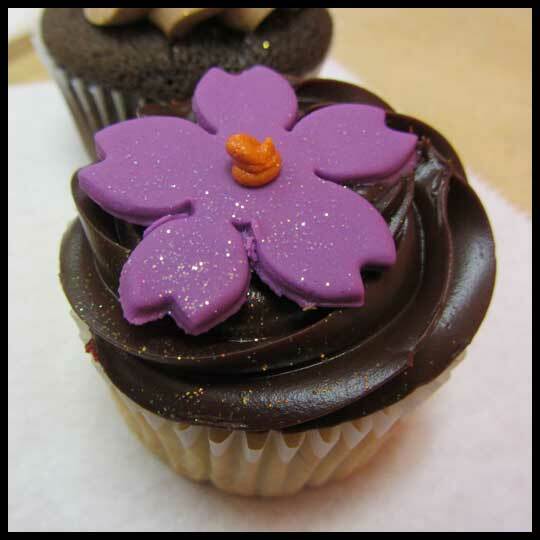 The Peanut Butter frosting manages to be smooth and creamy while still packing in the peanut butter flavor. 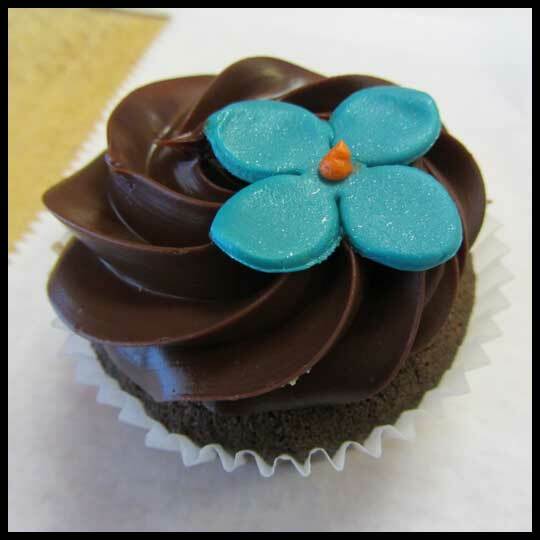 The chocolate cake was moist and a perfect compliment to the cupcake. Elisa (and everyone) LOVED this cupcake. Elisa describes it best in her own words, “WOW. 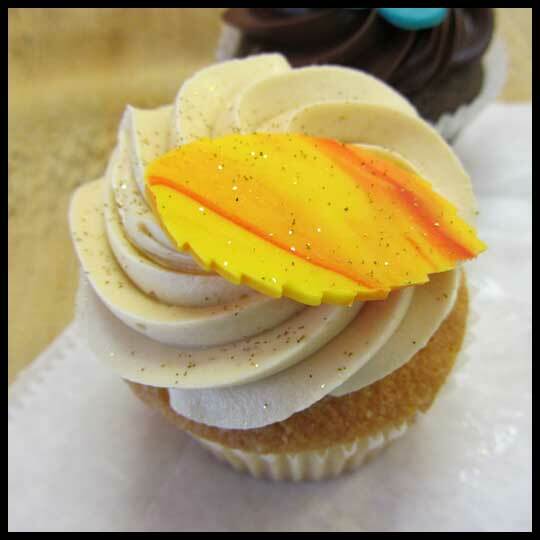 Honestly, there aren’t enough fantastic adjectives to describe this cupcake. The cake was moist, soft, a little dense – but this was understandable considering it was made with real bananas – and just delicious. I was pleasantly surprised that the cake was still cake-y and didn’t automatically taste like banana bread. Then there was the mouth melting ganach! What a compliment to the cake! Not too sweet, allowing the chocolate to shine. Together it was simply bliss.” Yes, it was all that. So good! 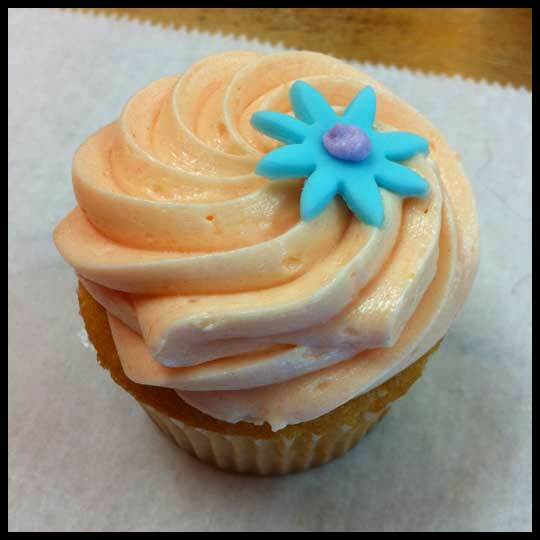 This cupcake was my top favorite of the day. 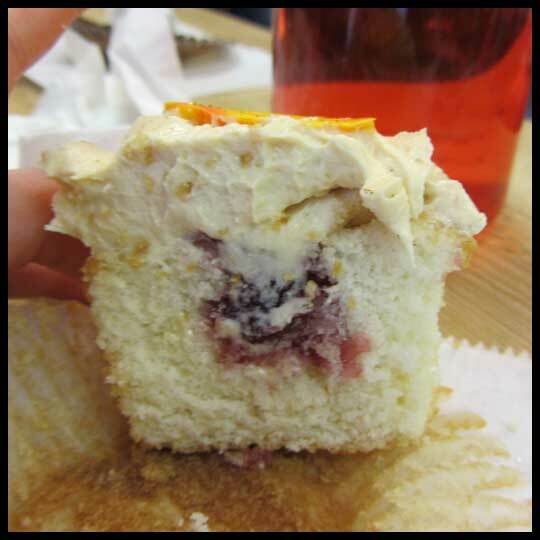 The cake was light and fluffy, the peanut butter frosting was smooth and creamy and the filling was just the right amount to give the whole cupcake a PB&J feeling without being to gooey in the middle. I have never had spiced chocolate before, so I was immediately intrigued by this flavor. I also loved the color combinations with the rich dark brown and the vibrant teal. While this cupcake wasn’t my favorite of the day, the cake was moist and fluffy, and the frosting was rich and wonderful just like all the other cupcakes we tried. The spice offset the chocolate in a really nice way. Since I was sharing, I only got a bite of this flavor, so I think I would definitely re-order again, just to have the whole thing to myself. Unfortunately I didn’t get a photo of the last cupcake, which my dad ordered. It was a Lemon Coconut, and was just as delicious as the rest. Jenn thought that the coconut flavor was overpowered a little by the lemon flavor, but I thought it was perfect. All around this stop was a much better experience than the first. 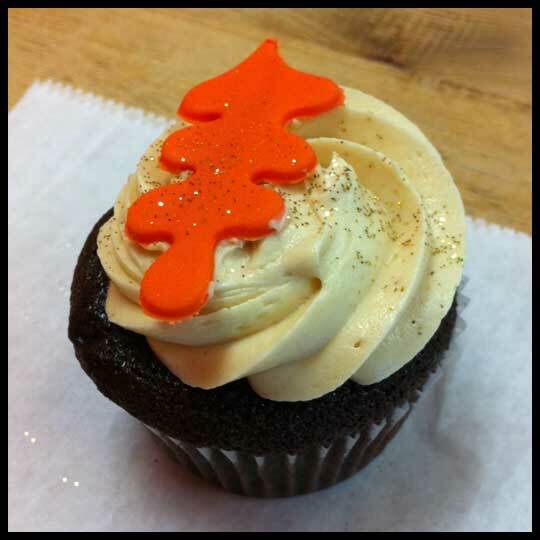 With the friendly staff (who asked about our tour and the blog and seemed really excited about it) and the amazing cupcakes, I can’t wait to go back for more. After this stop the Crusaders were re-energized and ready to continue the tour. 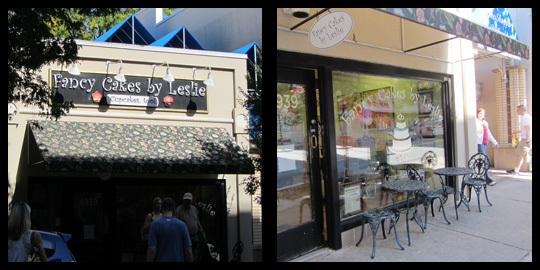 This entry was posted in Cake Pop, Cupcakes, Maryland and tagged 2011 Cupcake Tour, Bethesda, Cupcake, Fancy Cakes by Leslie, Tour by Stacy. Bookmark the permalink. That’s where my MIL got our Engagement Party cake. Yum! I bet that was one tasty cake!